A city at the mouth of the Escondido River and the Caribbean Sea, Bluefields is home to a large black settlement on the east coast of Nicaragua and is strongly associated with Black Creole culture. 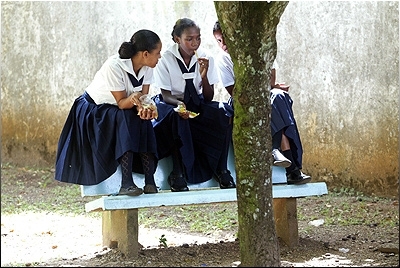 Nicaragua has the largest population of African descent in Central America and approximately two-thirds of that group resides in and around Bluefields. The black presence in the region goes back to the 17th century as Puritans from the English Providence Company began settling in and around Bluefields in the 1630s, bringing with them a population of enslaved Africans to work on plantations. Enslaved Africans from Jamaica later sought freedom in and around Bluefields in the 1700s and after British emancipation in 1834, the area became a destination for free blacks from across the British-controlled Caribbean. Historically Bluefields has been politically isolated from the rest of Nicaragua. It was originally part of the British Protectorate of Mosquitia and ruled by the British-supported Miskitu Indians until 1894. In 1845, the Miskitu King relocated from Wasala to Bluefields, transforming the coastal community into the capitol of Mosquitia. A number of blacks in the area rose to prominence as merchants and influential advisers to the King. In the late 19th century, multilingual Bluefields became a commercial boomtown due to trade with the United States. The area produced bananas which were growing in popularity in North America. English-speaking Creoles, as the persons of African descent now called themselves, had established an English language educational system distinct from Nicaragua’s Spanish language schooling. In 1894, Nicaragua incorporated Mosquitia and Spanish replaced English as the official language in the region. Mestizos also began to replace Creoles in positions of prominence and power. It would be nearly one hundred years before Bluefields would regain some of its historic autonomy from Nicaragua. On May 4, 1990, Bluefields became the capital of the South Atlantic Autonomous Region. In this new role as a regional capital some of Bluefield’s Creoles have again risen to positions of economic and political prominence. In 2006, for example, Loria Raquel Dixon Brautigam became the first person of African ancestry elected to the Nicaraguan National Assembly. Loria Raquel Dixon Brautigam was elected to represent the North Atlantic Autonomous Region. Edmund T. Gordon, Disparate Diasporas: Identity and Politics in an Afro-Nicaraguan Community (Austin: University of Texas Press, 1998); Hugo Sujo Wilson, Historia Oral de Bluefields (Managua, Nicaragua: CIDCA, 1998).